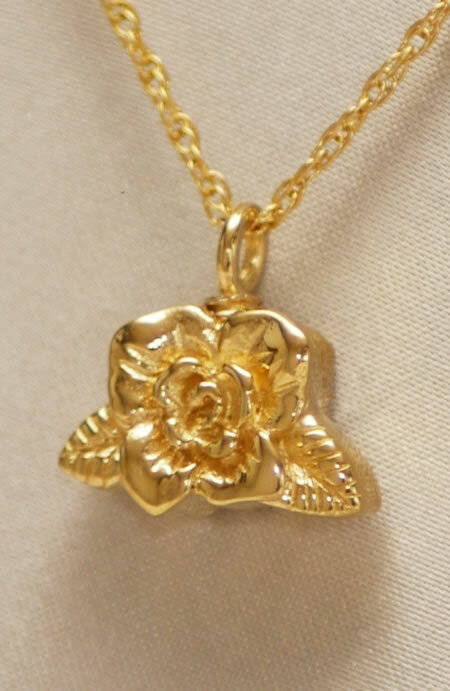 A simple rose pendant urn to celebrate the memory of your loved one. This is the perfect place to keep dried flowers, sacred ground, or a portion of cremains. Available in sterling silver with a sterling silver chain or gold plated sterling silver with a gold plated chain. A small funnel, filling instructions and gift box are included with each pendant. Engraving is not available on this pendant keepsake.